Humans have always placed a high value on independence. We take pride in our “do it ourselves” approach to almost everything. People love stories about people in need who picked themselves up by their bootstraps. Additionally, when it comes to shopping, people seem to just love the self-checkout aisles. Maybe this desire to do everything ourselves leads us to think we can also overcome our sinfulness on our own. Maybe this leads to thinking we can save ourselves. We can’t! There is no self-checkout aisle for salvation. Please read more….. I spend a great deal of my ministry time interacting with and trying to help Christians who struggle with addictive sinful behaviors. 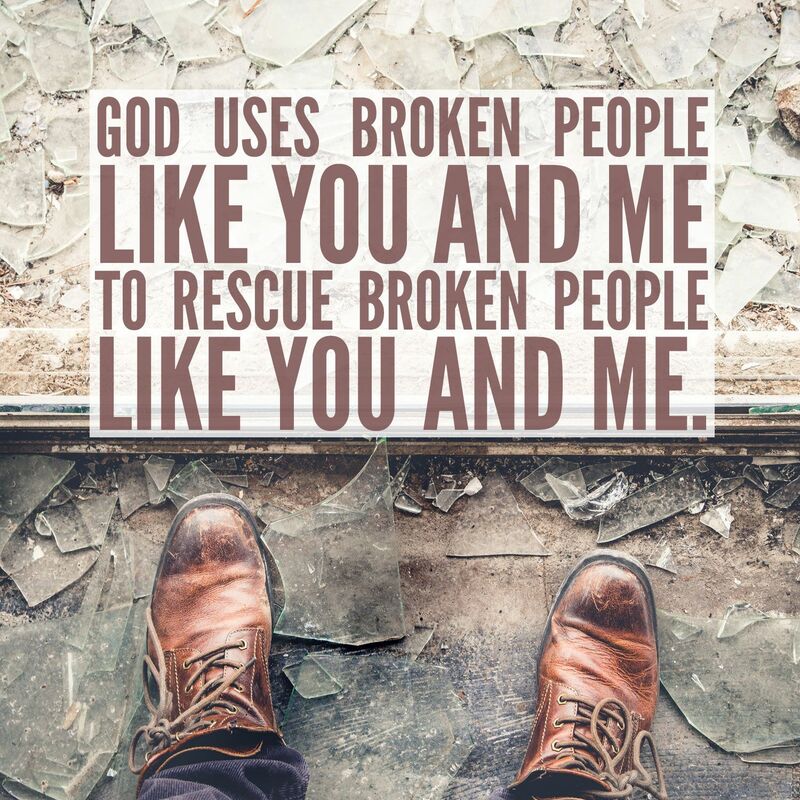 It is easy for people with addictive sin to become consumed by the battle to break free of the addiction. Millions of self-help books are written to give people the step by step manual to fix themselves. This leads me to ponder a few questions. First, can we really fix ourselves? Second, through our own efforts can we eliminate sin from our life? My writings today reflect my musings on these questions. 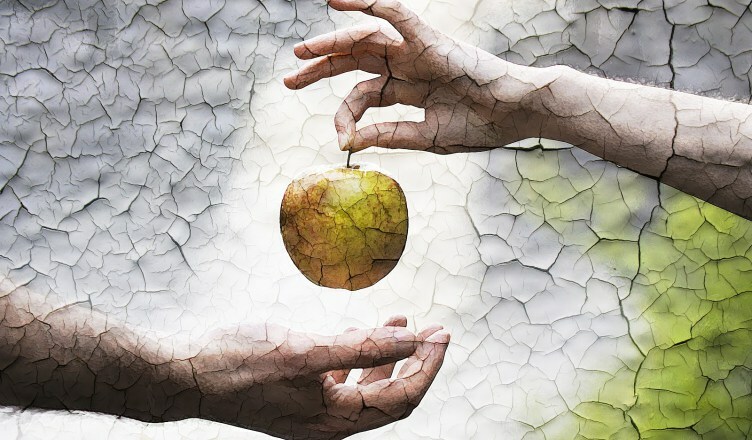 What was the sin of Adam and Eve? At its core, the sin was man’s desire to be God. Satan promised that the tree of knowledge had all of the answers. Perhaps Satan was the author of the first self-help book and the one step solution was to eat from the tree. What is original sin? A lot has been written about original sin. Some Christians ascribe tightly to this concept. Others have rejected it completely. The theology surrounding original sin is deep and complex. I want you to consider this simple explanation. Maybe the “original sin” we all wrestle with is our innate tendency to turn our back on God or in essence to try to be our own god. And maybe this speaks to the ancient “original” burden that all future generations carry within us from our ancestors. Maybe this is the foundation and essence of our human struggle. Simply stated, maybe we can look at original sin as man’s desire to live life self-focused or said differently, to be egocentric. Our fallen sinful nature wants us to see the world as revolving around ourselves rather than revolving around God. The goal of a Christian then is to move from being egocentric to Theocentric. The journey of a Christian is to move from an inward focused life to an outward and God focused life. All of this leads me to a discussion of something known as Pelagianism. Pelagianism is an ancient heresy, and yet, although ancient, it is a trap that many modern day Christians fall into. It would be virtually impossible to explain all there is to know about Pelagianism in today’s letter, so for the sake of brevity I can say that Pelagianism leads to the belief that man is capable of saving himself. At its core, this heresy put forth the notion that original sin was not passed on to subsequent generations. 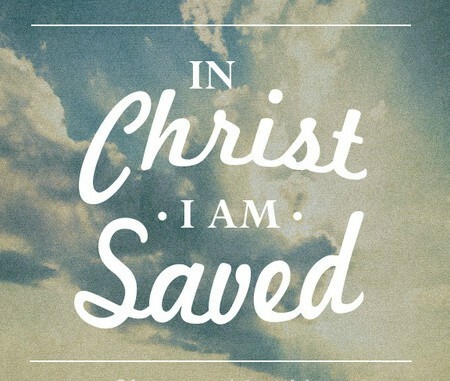 Therefore with this belief, man is not dependent on Jesus for salvation. Man is capable of saving himself. This is a very dangerous trap. To some extent this concept lies just below the surface of almost every self-help book. Finally, let’s go back and take a look at the people who struggle with repetitive sin and addictions. They often fall prey to believing that they only have to work harder and be stronger so that they can eventually, on their own, break free of whatever binds them. This is pure spiritual folly. We are broken people and we will forever be broken. We will never completely escape the grip of sin on this side of death. We need to be saved. And we cannot save ourselves. First, we must accept that we are sinners. We must understand that we are justified (saved) by God’s grace. (Acts 15:11; 18:27; Rom. 3:24; Gal. 2:21; Eph. 1:7; 2:5; 2:8; 2 Tim. 1:9; Titus 3:7; Heb. 4:16). Jesus did what we can’t do. He defeated sin at the cross. When we truly believe this, we receive the gifts of the Holy Spirit. One of those gifts is self-control. Faith and good works are our response to God’s freely given grace. (James 2:14-17) It is only when we are moved by God’s grace, and filled with the Holy Spirit, that we are given a new heart, a new frame of mind and a new desire that is opposed to our old desires. (Eph. 4:21-24)It is only through grace and the Holy Spirit that we have any chance to attempt to stand against sin. Alone we can do nothing. There is one more danger in Pelagianism. Once we fall into believing that we are capable of “fixing” ourselves then the consequence of this false belief is to become judgmental towards others who we see as being “unable to fix themselves.” Pelagianism leads Christians to become very Pharisaical. I am not saying that as Christians, we should not work to overcome our flaws and sins, but in the end what is most important is that we trust and believe in the sacrifice of Jesus on the cross, for it was that sacrifice that paid the price for the sins which we just can’t seem to avoid. HE ALONE IS THE SAVIOR! 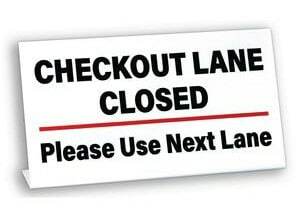 The self-checkout aisle is CLOSED! Father in your Son Jesus alone I find my salvation. I am weak and sinful and unable to save myself. Send forth your Holy Spirit to protect and strengthen me in my ongoing battle against sin. Amen! I am going to the Holy Land and I am hoping many of you will join me. Click the link below for the details. Hurry sign up now. Don’t delay. Brian, good concise message. Information I haven’t know before. Well done! This is an amazing letter which speaks to the heart of the nature of many of the sins in our culture from self-righteousness of those who pass judgement on those who struggle against sin to those that who are despondent that their efforts against sin seem to be failing. Thanks for your post. May God’s blessings be with you.